Presales support has become a critical resource for technically complex B2B enterprise sales. As part of customer facing and inside sales teams, presales specialists inject technical and implementation expertise directly into customer dialogues. Great presales professionals understand the technical dimensions of their solutions, communicate how other customers use their solutions successfully and anticipate an account’s opportunities and challenges in a successful purchase. The presales role comes with many job titles and descriptions including presales, technical sales, subject matter experts and sales engineers. Some product managers provide substantial presales support. Business Development professionals often have a major or even primary presales role. Typically presales team members are accountable for providing in-depth technical product information to an account and for tailoring a solution to account specifics. Sales is invariably accountable for initiating, selecting, prioritizing and orchestrating customer and client interactions as well as for finalizing sales agreements. 10–20% improvement in the speed of moving prospects through the sales process. They observe that presales typically accounts for 30-50% of commercial headcount. We observe that, no matter how fully staffed, presales is usually a scarce resource in the sales process. Injecting presales skills into a commercial team increases win rates but it also makes the sales playbook more complicated. This invariably raises tensions in the clubhouse. Scholarly articles on the “war between sales and presales” may be non-existent, but discussion with professionals from both groups highlight the complexities of sales-presales relationships. Sales’ view of presales. Given the natural sales-presales stereotypes of jocks and nerds, it is no surprise that sales often takes control and has strong opinions. Cutting through excuses and resentments (“presales makes me look bad”), there are often substantive issues. Presales professionals perform at different levels. As in any team sport, players have legitimate criticisms of teammates. Coaches look for ways to improve performance. Even the best presales professionals have a few of these problems, but middle of the pack professionals typically have a number of them. Presales’ view of sales. Presales professionals sometimes view themselves as on a mission to convey the truth and protect their company’s credibility. Their knowledge is greater and that is a card that they play (“what a moron”) in tense situations. Cutting through presales’ intellectual arrogance and their own excuses, presales comments often reveal substantive areas for sales improvement. Understanding these issues, a good coach can revise the sales playbook or modify the game plan. Improving the Clubhouse with Value Propositions. In sports, talented teams fail to deliver both because of poor game planning and because of an unhealthy clubhouse atmosphere. In B2B enterprise sales, lack of joint, customer-centric, meeting preparation causes less effective customer interactions and frays the working relationship between sales and presales. Deploying Value Propositions in B2B sales and presales teams can address both issues simultaneously. Is our offering better than the alternative? What is that worth ($,€) to the customer? A good Value Proposition boils the answer down to the two to four ways that our offering is better and what that is worth to the customer. Using a Value Proposition in customer conversations addresses sales challenges by making the dialog customer-centric, highlighting our solution’s differentiation while supporting our price. Quantified value is persuasive by making our differentiation a tangible business opportunity for the customer. It helps in call prep, in qualifying accounts and in getting the right meeting. An agreed quantified Value Proposition bolsters the ability and credibility of an advocate inside an account as they recommend our solution, drive the account toward a decision and support a more streamlined procurement process. Value Propositions can be used effectively at many points of the B2B sales cycle. Shared Value Propositions. Value Propositions improve sales performance and presales performance independently, but they improve clubhouse atmosphere if they are shared. Shared Value Propositions mean that a customer facing team (sales and presales) have access to and use the same information and the same numbers. Team members will use the Value Proposition differently. A good sales rep will keep it simple and highlight the summary points. A good presales professional will be able to highlight the headlines but also will be able to provide details and support as customers challenge assumptions and validate vendor claims. Value Propositions help sales teams win. 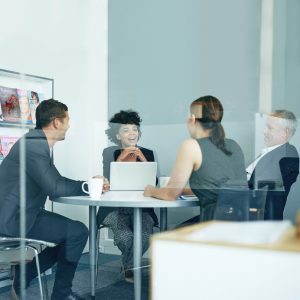 When shared as part of daily dialog, great Value Propositions provide a better basis for sales and presales to collaborate based on the language of the customer and customer success. By providing a common framework for understanding a solution’s impact on the customer, a shared Value Proposition becomes the basis for a commercial team to work together to close deals and deliver success. Winning results have the best clubhouse impact of all.